Thanksgiving used to be the day that the whole family gathered as Grandma roasted a juicy turkey to perfection. But these days, Grandma is just as likely to be trying her hand at deep-frying that big bird. And that’s where things can go wrong. Really, really wrong. According to The National Fire Protection Association, more cooking fires occur on Thanksgiving than any other day of the year. In fact, grease and cooking-related claims more than double on Thanksgiving Day compared to an average day in November. Deep fryer fires result in millions of dollars in property damage each and every year. Turkey fryers are easy to tip over, so be careful to place it in a centered area where it is harder to bump into. 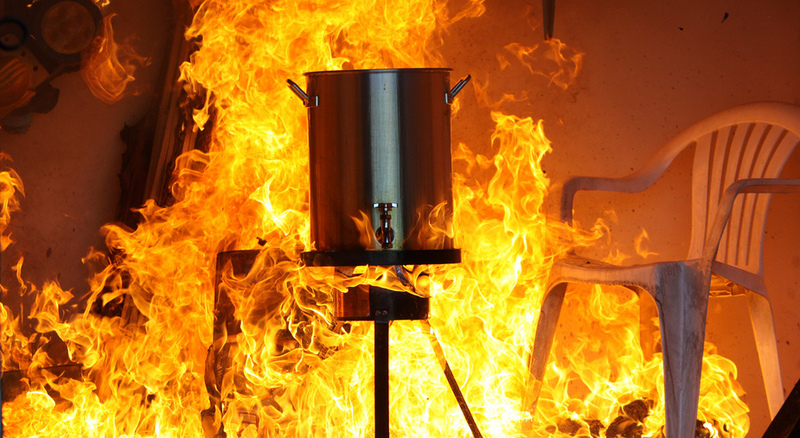 Once a turkey fryer tips, the spilling of hot cooking oil can cause a fire to break out. It only takes a small amount of cooking oil spilling on a hot burner to cause a flare-up or full-blown fire. Be sure to pay attention to try and prevent this from occurring this season. If a fire does flare up, do not try to put it out with water! Without proper temperature controls on the fryer, oil can overheat, potentially starting a fire. Test your controls prior to Thanksgiving Day and make sure your fryer is performing as it should, especially if it’s an older fryer. According to homeadvisor.com, the average cost to repair fire and smoke damage is around $10,000, with some customers reporting damages costing as little as $800 and more extensive damages costing $80,000 and higher. Many of us don’t have bags of money just lying around for turkey-fire incidentals, so LendingPoint offers personal loans that may be able to help cushion some of that cost if deep frying the tasty turkey goes bad. Our loans start at $3,500 and can be unlocked up to $25,000 depending on what you need. Apply today to see if you qualify. For more information on how to prevent deep fryer turkey fires, please visit And, please, play it safe. We want you as a customer, but we’d rather meet under happy circumstances.